At the Trincomalee beach in Sri Lanka, after settling down in the hotel room, we discussed about the things that could be done there. The person at the reception suggested going for whale/ dolphin watching. The providers charge separately for dolphin and whale watching. 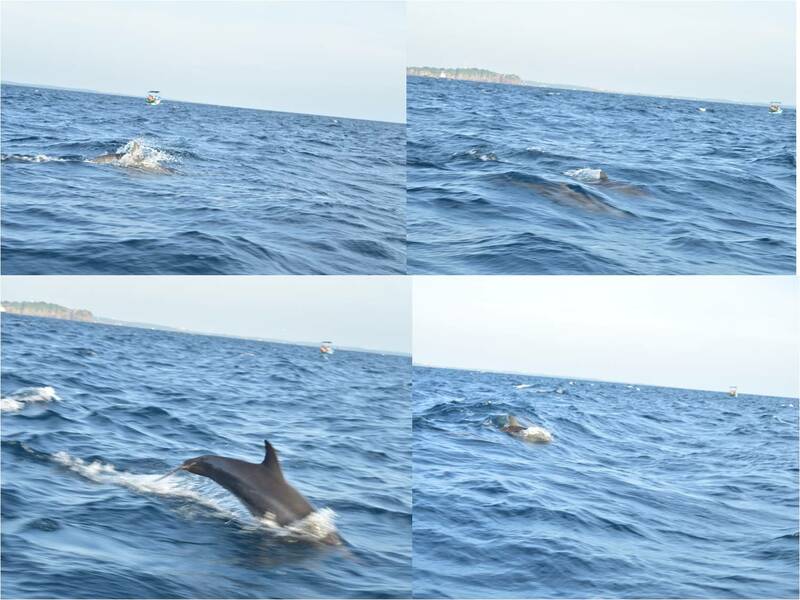 We opted for only dolphin watching and set out early morning the next day. They took us in a nice boat two kilometres into the sea. 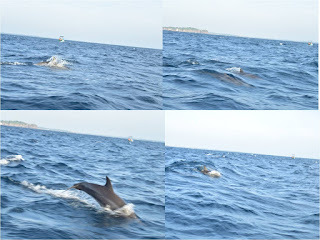 Since wild life sighting is always a matter of luck, I started sending Reiki for Dolphins to come. And voila! 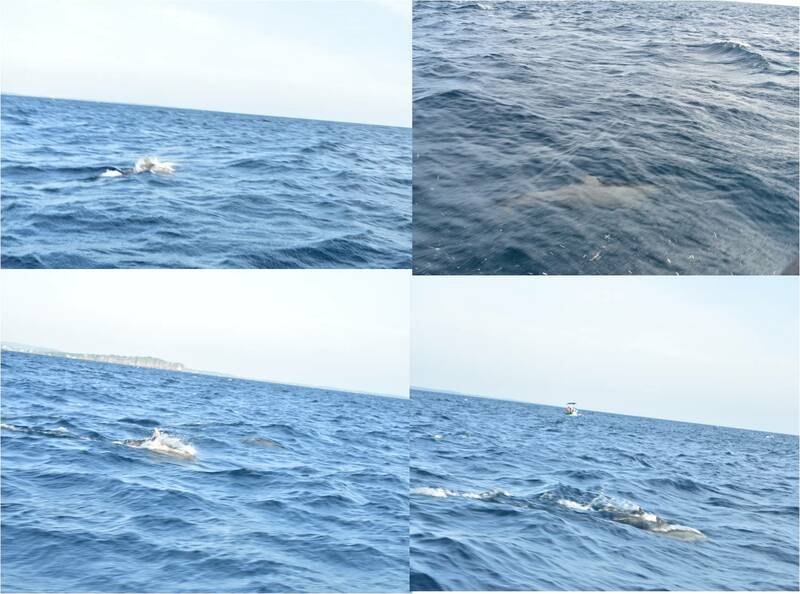 They came in huge numbers, we saw around fifty dolphins. They danced, jumped and raced with the boat. There was one particular dolphin that was swimming along with us very close to the boat. 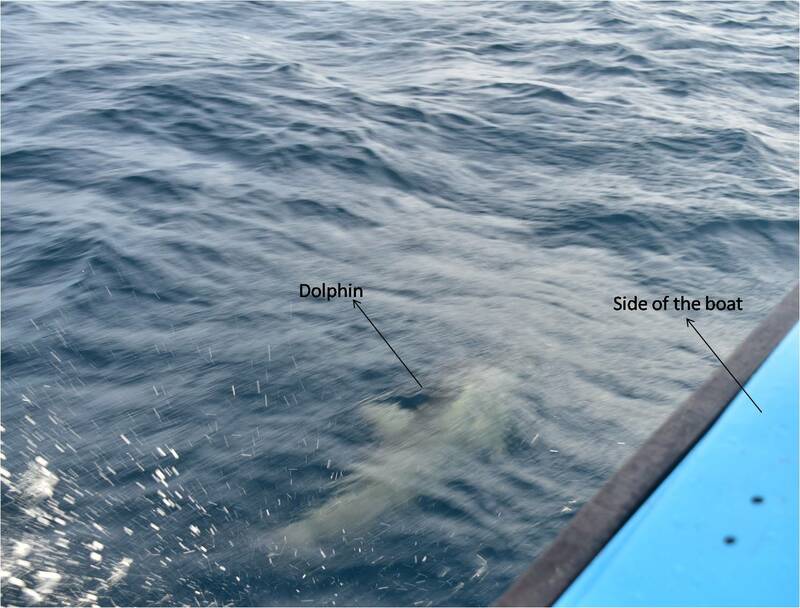 I was sitting on the left side of the boat and it was on my left side, swimming at the speed of the boat. 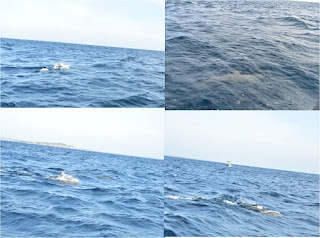 It was difficult to imagine that it was swimming; it looked like a rocket speeding in the water. I was giving Reiki to this dolphin, thanking it for coming so close. After a while I started receiving Reiki from the dolphin! It was an amazing experience. We were back home after the trip and I had a past life regression client. He was into severe depression from a recent traumatic incident in life. The session was very deep and on waking up, he told he was feeling very tired. I suggested giving a Reiki healing and he agreed. During the Reiki session, suddenly dolphin Reiki came to my mind. The client was feeling tired and I have seen the tremendous energy dolphins possess. After the regular Reiki healing, I gave him dolphin Reiki. While giving dolphin Reiki, I felt something very intriguing. The energy was entering through my left palm. Usui Reiki enters through the crown chakra. I am not sure whether this is routine with dolphin Reiki or it was because the first time I received this beautiful healing energy from the dolphin, it was swimming on my left side and my left palm was very close to it. After the healing session, the client got up with an ear to ear smile and told he was feeling absolutely fine and fresh. Dolphins, the master healers, are highly evolved omni-dimensional beings who live in the Oneness. Their influence transcends time, space and physicality. Dolphin Energy Healing can be useful in assisting with physical, emotional, mental and spiritual challenges. Michael Zasloff , a researcher at the Georgetown University Medical Center has documented the extraordinary healing ability of dolphins. He writes, "It should awe us. You have an animal that has evolved in the ocean without hands or legs, which swims faster than we can, has intelligence that perhaps equals our social and emotional complexity, and its healing is almost alien compared to what we are capable of."